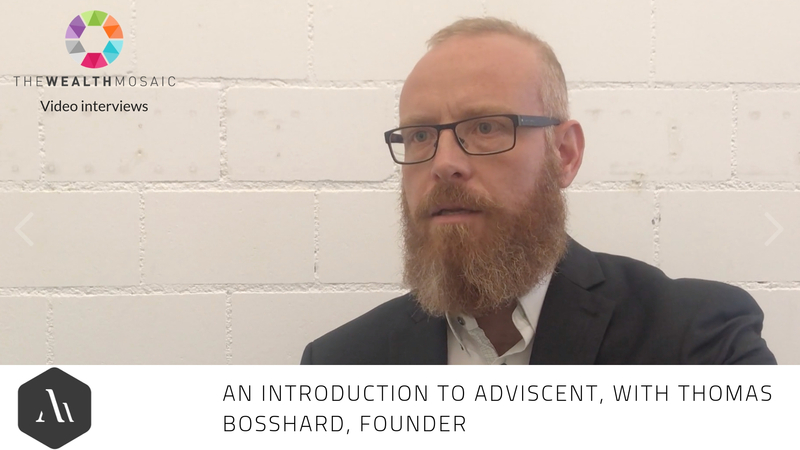 Adviscent supports the digitalized client advisory process across all channels for wealth management and private banking businesses. It developed Interactive Advisor, an investment and sales content hub. Its intelligent recommendation engine enables investment and sales teams to deliver content that fully matches with user profiles and preferences at any point within the client journey. In turn, they gain key insights into what their clients want. By intelligently analyzing and orchestrating research, sales and front activities, the Interactive Advisor platform helps financial advisors put the client in the center of their activities and deliver the right content to the right person at the right time. 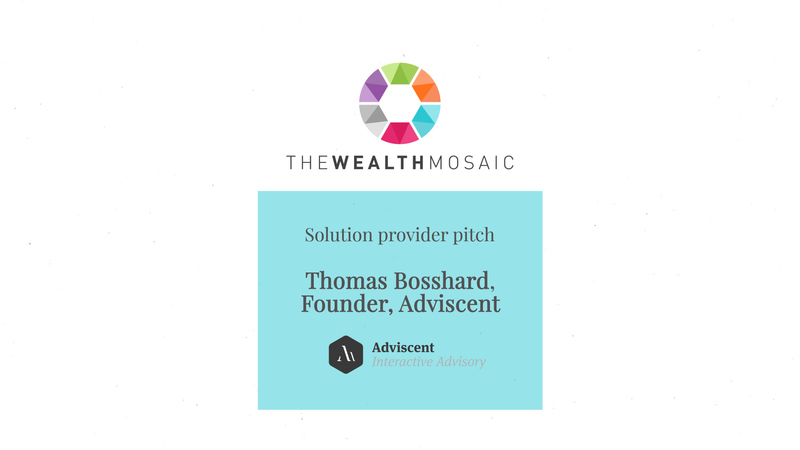 Adviscent is a FinTech startup specialized in innovative information management solutions for advisory processes. It developed Interactive Advisor, a content and personalization hub that integrates wealth management research processes into one platform. Interactive Advisor's intelligent recommendation engine helps financial advisors deliver content that fully matches client profiles and preferences at any point within the client journey. In turn, they gain key insights into what their clients want. Adviscent partners with chief investment officers and research departments that create and distribute research and investment advice to clients, prospects and client advisors. As an acknowledged advisory enabler, it helped transform the advisory business of reputable banks and large financial institutions. Can financial advisors open the AI black box for clients? How much digital onboarding do clients want? Analytics - does your business need descriptive, diagnostic, predictive or prescriptive capabilities? Analysing unstructured data - the next new trend in predictive analysis that can even predict the stock market? Coping with all the content you need to create? We will inform Adviscent of your interest and request that they connect with you.